To be honest, I was thankful to Malaysia for holding on to the KTM railway in Singapore for decades while the rest of land along the railway track were developed in the name of nation building. The KTM railway track that cut through the hearth of Singapore might be viewed as weed in the garden, it actually help to preserve the greenery along the railway track from further development. The treasure was discovered by nature lovers when a deal was struck with Malaysia government to return the land along the railway track to Singapore. The greenery preserved by the railway track stretched from the causeway all the way to Tanjong Pagar, relatively untouched since it was built in 1932. 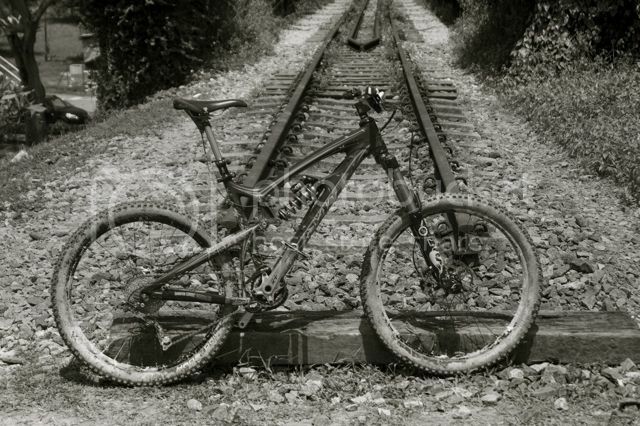 The trails left behind by KTM railway can be heaven for nature lovers, trekkers and mountain bikers. 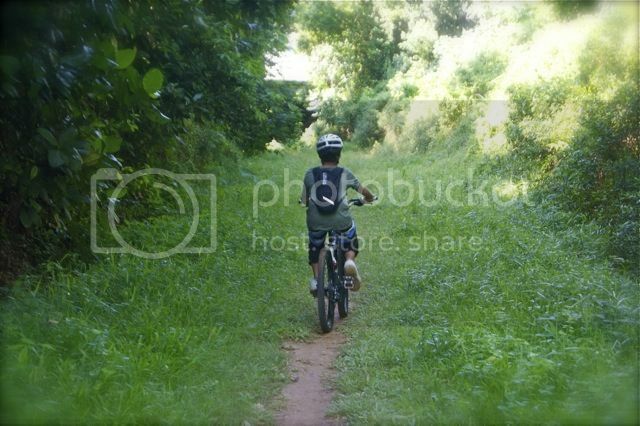 I did a test ride from Rifle Range Road, that connects the Bukit Timah Bike trail to the railway track. The trail was relatively flat and easy to ride, and it will be excellent for XC ride, especially the 29er. 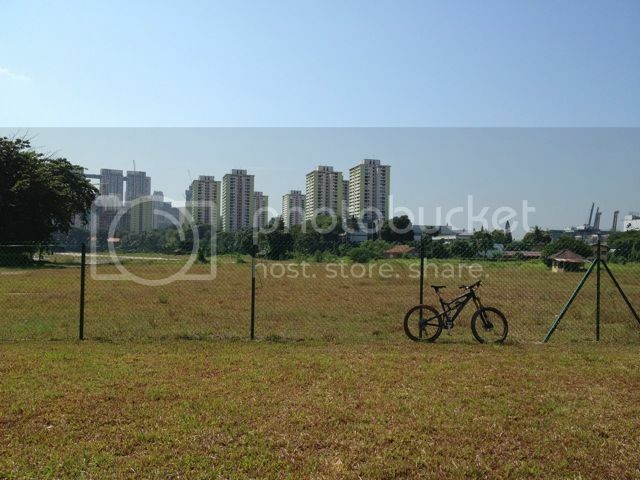 In fact, the trail can bring you to Kent Ridge bike park located at the Western central of Singapore. 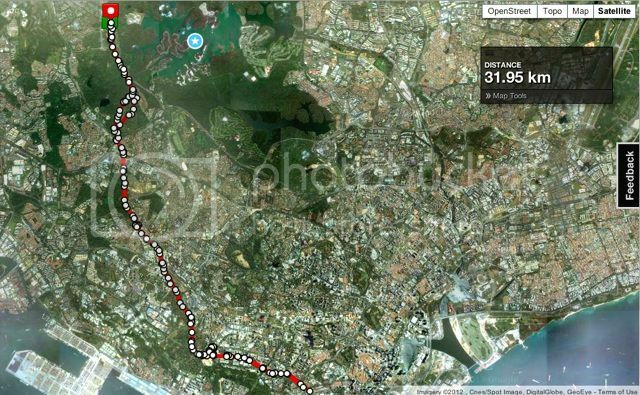 The total distance from Rifle Range Road (Bukit Timah) to Keppel Road besides Ayer Rajah Expressway (AYE) is about 16km, so to and fro will be about 32km. This is one of the underpasses along the trail. The trails below the underpass were covered with stones, which can be fun to ride if you rode a full suspension bike. I cannot speak the same for hardtail. 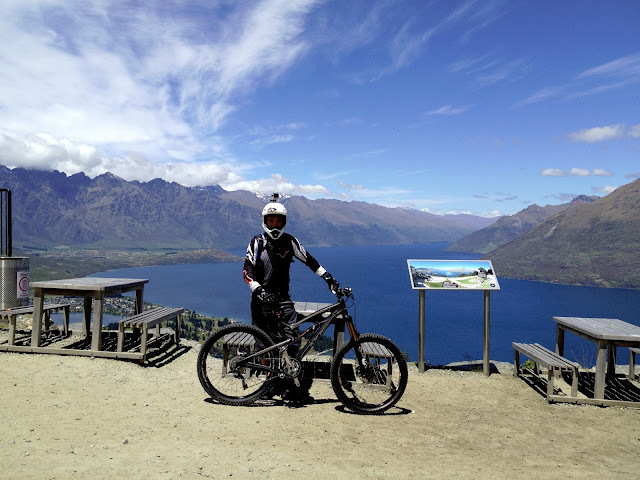 The trail was so easy that even a 13 years old teen with hardtail could ride. Let's hope the government will preserve the trails as they develop the land left over by the KTM railway. Building concrete pathway or PCN in an artificial setting will not be what most people want. Preserving the nature and leave the trails alone will provide a good balance between development and nature. This is the end of the railway trail, where a fence was put up to prevent trespassers from entering the land. The forbidden land should connect you to Tanjong Pagar. In future, I hope they would build a riding path from here to CBD. By doing so, the Singapore Green Corridor trail will provide a "riding super highway" to cyclists who wish to ride their mountain bike to work in CBD. This will be truly FIRST WORLD LIVING! Hi, Thanks for this blog. Where are the various entry points to the trail? The best point to enter is at the end of Rifle Range Road, just before the railway bridge (google for 1.337335,103.781018 ). This is the starting point from Bukit Timah all the way to Tanjong Pagar. Alternatively, you can enter or exit from Alexandra Village, either the industrial estate at the end of Blk-1001 Bukit Merah Lane 3 (google for 1.284561,103.806792) or at the end of 5 Jalan Kilang Barat (google for 1.2843,103.80821), just next to Treknology building. This will be the best place to refresh yourself, there are many famous hawker stalls in Alexandra village. There are various points of entry/exit along the trail, some are located at the backyards of some private properties. I was quite disappointed that we could not exit from the end of the trail where the fence is (see the last photo). Otherwise, we can enter/exit from the CBD.